This past month we celebrated Chinese New Year with four nights of banquet dinners. Some photos of the event are posted below. Too busy to take many photos but we will aim to do better next year. Chinese New Year reservations fill up pretty quickly so if you would like to notified about next year's Year of the Rooster 2017 drop us an email at innatwestviewfarm@gmail.com and we will keep you posted. For good reason, when people hear winter in Vermont, they think skiing but don't forget the beauty of winter hiking. This is a shot from a spot near Prospect Rock in Manchester, VT. No bugs and no crowds! Wontons with preserved mustard greens, and chili sauce. Depending on the week, month, weather and other factors, various fruits and berries are ready for you to pick. For the latest information go to www.pickyourown.org/vt - find Bennington County, and check what's ripe. We picked these at Merck Forest. YUM!! 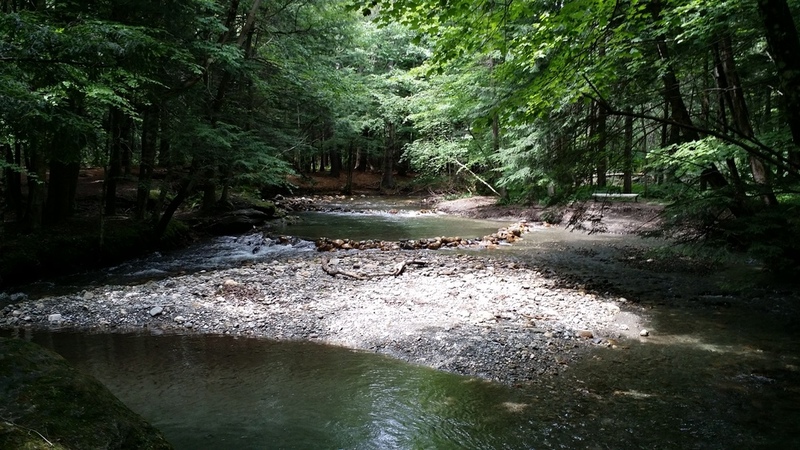 Visit Cutler Forest, off of Peace Street, just minutes from the Inn. Take a dip, explore the trails and cross the river on a bridge with one hand-rail. Discover Dorset!! 15 Cool Things to do in Dorset this summer! Rolling a springroll is EZ if you follow my instructions. Chinese New Year Celebration - Year of the Horse! Celebrate Chinese New Year at the Inn at West View Farm - February 6th, 7th and 8th, 2014. Traditional Chinese Banquet Dinner served to the table family style. GIVING TUESDAY! Merry Christmas Eve! We welcomed Bob into our family on December 21st. We adopted him from Second Chance Animal Center. He will be the best present under the tree (in the tree, knocking over the tree...). For every like Bob gets, we will donate $1 to Second Chance Animal Center, up to $100. http://www.2ndchanceanimalcenter.org/ Please help his friends still at the Center and the caring people who work there. Guess how many snowmen decorate the Inn! First person with the correct answer wins a Gift Certificate for 3 desserts. Happy Holidays!! !